Balloons can be really boring if you aren't careful, but if you use them just right you can get a LOT of impact for very little money. Like the balloons above from Lindsey over at The Pleated Poppy. It only cost a couple of dollars, but looks like a million bucks. These are hanging over her table like a giant chandelier of balloons. 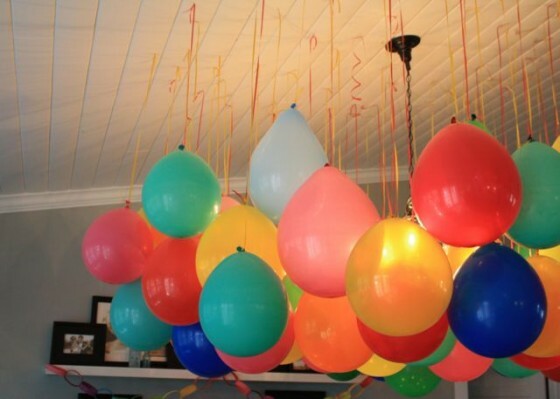 You can see some other balloon ideas that I love HERE. Check out the rest of Lindsey's fun and very colorful art party HERE.